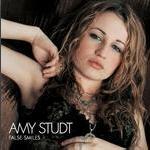 The song Amy Studt - Misfit is professional recreation. It is not by the original artist. All I Wanna Do Amy Studt Your browser does not support the audio tag. Just A Litte Girl Amy Studt Your browser does not support the audio tag. Misfit Amy Studt Your browser does not support the audio tag. Under The Thumb Amy Studt Your browser does not support the audio tag.